Created by Ralph Smart for Lew Grade’s ITC Entertainment, Danger Man (also known in the United States as Secret Agent) starred Patrick McGoohan as globetrotting agent of NATO (later fictional British intelligence agency M9) John Drake and aired from 1960-62 and again from 1964-68. Although the series predated the Bond films, the Bond novels were very popular and Ian Fleming was brought in during early stages of development. That said, Patrick McGoohan once called James Bond “contemptible and simplistic” and therefore Drake serves as a sort of anti-Bond. Danger Man was a classy, smart, and tightly plotted procedural that strove for realism over spectacle, and McGoohan later went on to star in another espionage series, the brilliant and cerebral The Prisoner. In this gallery, you’ll find the Dell Comics one-shot which has lapsed into the public domain. 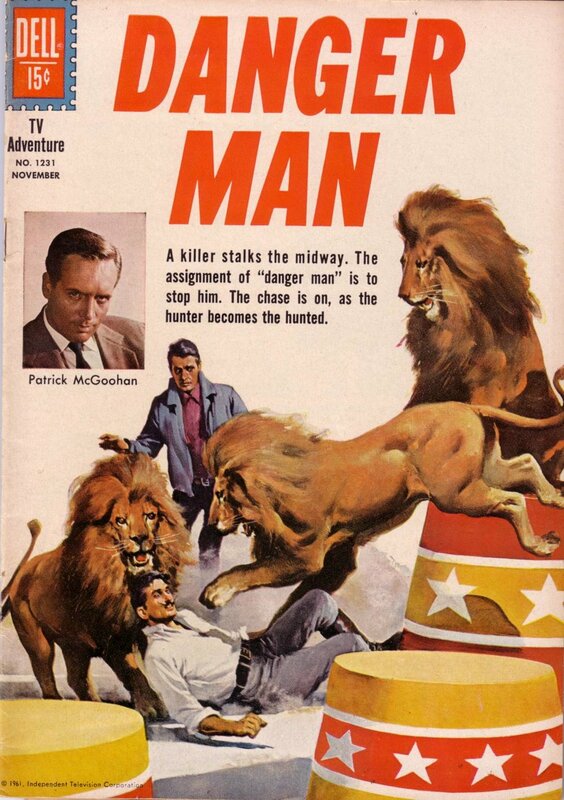 A number of Danger Man comics were created in foreign markets. If you have access to these issues then I would love to see them and translate them into English! In this gallery you’ll find foreign language adaptations of films and television programs that resulted from the spy craze of the 1960s, such as Matt Helm, The Persuaders, and many others. All stories in this gallery have been translated personally from Spanish to English. 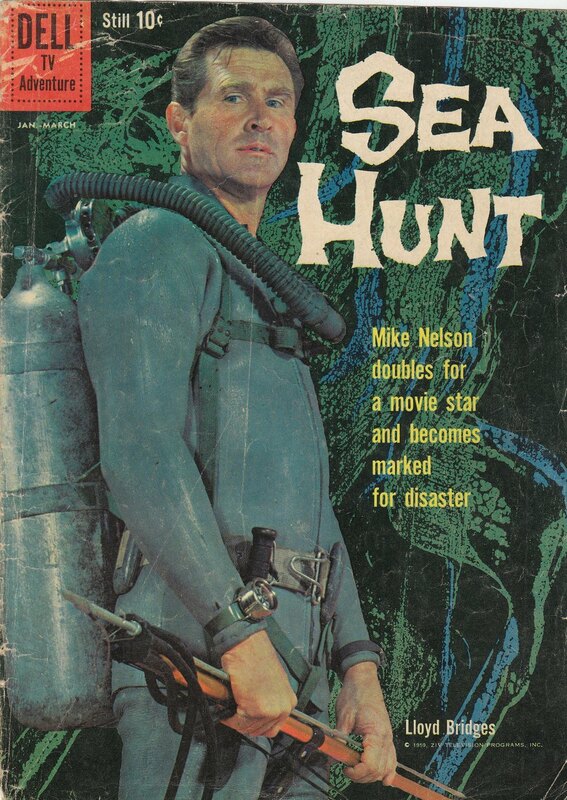 Created by Ivan Tors, Sea Hunt starred Lloyd Bridges as retired US Navy Frogman Mike Nelson and aired from 1958-61. Although the series predated the Spy Craze and is more an action/adventure program, the success of Sea Hunt proved that there was a market for stories detailing the dangerous exploits of military experts and worldly men of action. A number of episodes dealt with espionage related situations and it wouldn’t be long before the premieres of Danger Man in 1960, The Avengers in 1961, and finally Dr. No in 1962 before the Spy Craze went into full force. Sea Hunt strove for realism in all aspects, and Ivan Tors’ production company handled underwater filming for Thunderball. Other Sea Hunt alums with Bond connections include underwater cinematographer Lamar Boren (Thunderball, You Only Live Twice, The Spy Who Loved Me, Moonraker), Ricou Browning (underwater sequence director for Thunderball and Never Say Never Again), and underwater stunt diver Big John McLaughlin (Goldfinger, Thunderball, The Spy Who Loved Me, Never Say Never Again). In this gallery you’ll find all Sea Hunt features from 12 issues of the Dell Comics series, featuring art by the great Russ Manning. All stories in this gallery have lapsed into the public domain.